Securing your personal computer with password is the best way to secure it from other people or friends who try to access your computer in your absence. In past we mention about so many apps such as Lock PC with USB drive and Lock Windows PC with a Pattern Lock. 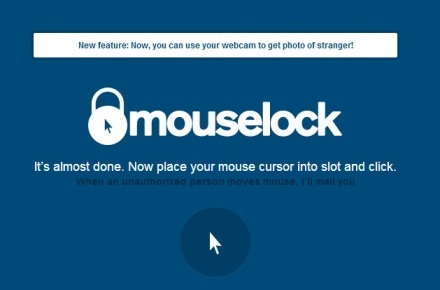 Today we found a new web service MouseLock, it is a free to use web service which helps you to lock your PC with the help of mouse. The best part to the web service it also send a Email Alerts On Unauthorized Access with a photo of the person who has attempted to use the computer. No need to install any app on your pc or register for the web app. All you need a Google account to receive email alerts from them. Below is the guide which allows you to setup the the lock on your PC and get alerts from the web app for any unauthorized Access. 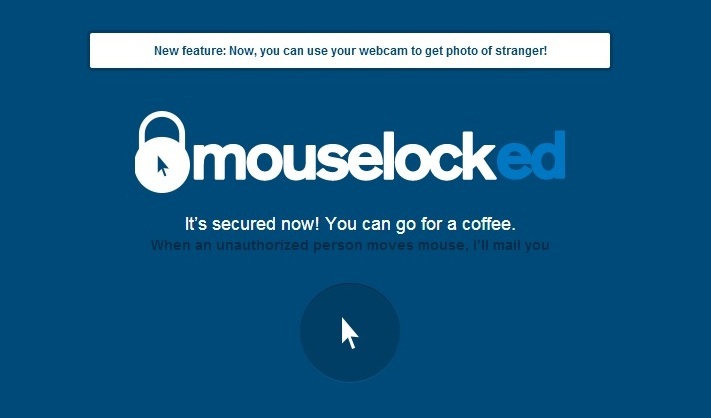 Go to the web site mouselock.co and hit the “Sign with Google button”, to setup the lock on your PC and authorize your Google account with them, so that they can send you the alerts on your inbox. Now your account is setup with the web app, Now you can see the 1 to 10 number on the web app screen. From here you have to select a number to make it your unlock code. After selecting the number to lock you PC a new screen appears which asks you to to place the mouse cursor in the designated spot to activate the lock on your PC. 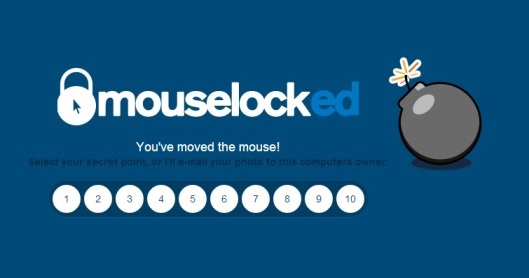 Now lock is activated on your home screen, if some one move the mouse he has to select the same number to unlock the screen. If he can’t do that with in a few seconds the screen will locked and an email will be sent to the specified Gmail account. 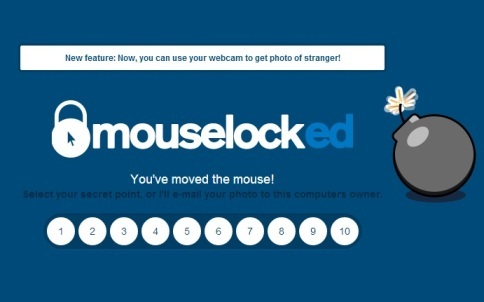 The email message contains detailed info like time and date of unauthorized Access, if your pc has the web cam than you can see the image of the person who accesses your account. The webcam feature is currently working on Google chrome browser, the developers are working on the app to get started in Firefox and IE. simple principle and excellent application.